CityLibraries provides programs, activities and services for everyone in the Townsville community including book clubs, storytime, lectures, computer classes, child development advice and so much more. Explore the categories below or browse the What's On website for more community programs and events. We have heaps of fun activities for children including Storytime, Baby Rhyme Time, Let's Read Program, Dads Read, and school holiday programs. Young adults will love Loud Lounge at Aitkenvale and Thuringowa Central libraries. Visit our children and young adults pages for more information. 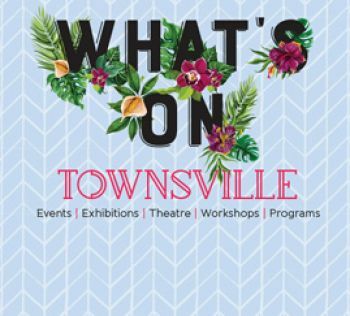 We provide many programs, activities and services for adults in the Townsville community, including bookclubs, history lectures, computer classes, and information services.Visit our learning and recreation pages for more information. Unleash the writer in you! The theme for the 2017 Short Story Competition is: 'Family, food, fun - pick one, two, or use all three!' Visit the short story competition page to read stories from this year's winners. Three age categories available are Children, (8-12 years), Young Adult (13-17 years) and Adults (18+). Same prize for each of the three categories: 1st prize – Ipad mini; Runner-up - $100 Mary Who voucher. Electricity prices have gone up over the past few years and the best way of shielding yourself from these price increases is to use electricity more efficiently. Borrow a Tropical Energy Saver Toolkit from CityLibraries Townsville to test your home, business or school and learn how to save energy. This project is proudly supported by the Ergon Energy Community Fund. Visit the Tropical Energy Saver Toolkit (TEST) page for more details. Learning Links is about people learning from each other. It's a friendly, relaxed way to learn one-on-one or in small groups at little or no cost. It provides opportunities for individuals to try new skills without the pressure of formal classes. Learning Links is community-based, informal learning in relaxed surroundings that links new learners with volunteer tutors. It consists of a register of volunteer tutors who are willing to help people learn new skills. Perhaps you would like to try crochet or learn to play the guitar or maybe you want to bush up on your writing skills. Let us know what you would like to learn and we'll endeavour to link you with a volunteer tutor. For further information on Learning Links or to register contact the Learning Links Officer, Community Information Centre (07) 4771 4230 or email LearningLinks@townsville.qld.gov.au. For more information on any of the above programs or activities, please ask your friendly staff at CityLibraries. For further privacy information please visit our Libraries Collection Notice.